Crohn’s Disease costing you physically ― and financially? Social Security Disability for Crohn’s Disease could help. Crohn’s Disease is a chronic inflammatory disorder that can impact any part of the gastrointestinal track, including the small intestine, large intestine, stomach or esophagus. The chronic inflammation can cause ulcers and serious digestive problems. Symptoms of Crohn’s Disease range from moderate to severe and can include diarrhea, abdominal pain, fever, vomiting, urgent bowel movements, weight loss and rectal bleeding. Complications from the disease can lead to intestinal blockages, perforations, infections and malnutrition. There is no definitive cause of Crohn’s and no known cure. The disease, which affects as many as 700,000 Americans, often begins gradually and becomes worse over time. It is unpredictable, sometimes going into remission and then flaring-up suddenly for no apparent reason. Chron’s Disease? Talk to our Social Security Disability team. Call 877-568-8413. While many people can control Crohn’s with diet and medication, others find no relief for its symptoms. For these people, working and carrying out daily activities is nearly impossible. Their entire life and livelihood is impacted by this disease which causes constant pain and worry. If you or a loved one suffers from severe Crohn’s Disease and has been (or is expected to be) out of work for at least a year, you could be eligible for Social Security Disability benefits. Getting approved for Disability is not easy, however. It takes solid medical evidence and a detailed, persuasive claim. The Disability team at McDonald Law Firm devote our time and energy to helping sick and injured people who are in dire financial straits. We will handle the Disability process for you and work to bring you some financial relief. How does the SSA determine eligibility for Disability for Crohn’s Disease? Bowel obstruction. You must have had an obstruction in the small intestine or colon that required hospitalization on at least two occasions, at least 60 days apart, within a six month period. Two qualifying complications. You must have two of the following symptoms within a six-month period, despite taking prescribed treatment. Anemia with hemoglobin less than 10 g/dL (on two tests at least 60 days apart). Serum albumin of 3.0 g/dL or less (on two tests at least 60 days apart). At least two documented doctor visits, at least 60 days apart, prompted by a tender abdominal mass with severe abdominal pain or cramping. At least two documented doctor visits, at least 60 days apart, prompted by perineal disease with a draining abscess or fistula that caused severe pain. Unintentional weight loss of at least 10 percent of your starting weight. Need for supplemental daily nutrition by a feeding tube in the stomach, nose or small intestine or by a chest catheter. Want to apply for Disability benefits? Call 877-568-8413. Don’t meet the above criteria? It’s still possible to get Social Security Disability for Crohn’s Disease. Sometimes people are too sick to work, but they don’t meet the Social Security Administration’s strict criteria for Disability for Crohn’s Disease. If you can prove that your condition interferes with your daily activities to such an extent that you can’t work any job ― even a sedentary one ― you can still qualify for Disability for Crohn’s Disease. Convincing the SSA that you can’t do any kind of work can be challenging. You must back up your claim with medical evidence and other documentation. The Social Security Administration will be looking for evidence of how your condition limits your ability to work (for example, the constant need to take urgent trips to the restroom). The SSA will also consider your age, past work experience and your ability to enter a different line of work. It would be in your best interest to let a professional handle this aspect of your case. Our team knows the kind of evidence the SSA is looking for and what it takes to meet their tough requirements. Denied Disability for Crohn’s Disease? Don’t give up. Don’t get discouraged if you were denied Disability for Crohn’s Disease. It is not uncommon to get rejected during the initial stages of the Disability process. The trick is to stick with it. The next step is to appeal and take it to the next level. Your odds for approval actually go up if you appeal your denied Disability claim. Don’t delay, though. You only have 60 days to file your appeal from the time you received your denial letter. If you haven’t hired an experienced Disability attorney yet, now is the time to do so. The disability team at McDonald Law Firm regularly persuade the government to reverse unfavorable decisions. No matter where you are in the process, we can help. Need to appeal a denied decision? Call 877-568-8413. 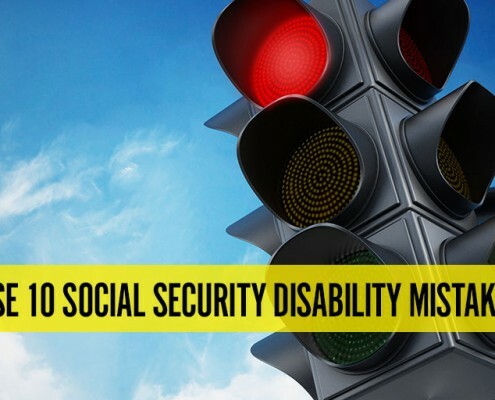 One of the biggest reasons people don’t seek help from an experienced Social Security Disability lawyer is because they don’t think they can’t afford one. After all, most people who need Social Security Disability benefits are not working and have little, if any, disposable income. The reality is that you can afford the services offered by McDonald Law Firm. We work on contingency, which means that we don’t collect unless we are successful. Even then, our fees are capped by the federal government and taken directly out of the back pay award. You don’t pay anything up-front and, if we aren’t successful, we don’t get paid at all. Unfortunately, we can’t help your physical ailment, but we will work to bring you some financial relief. Call us at 877-568-8413. Let’s get started today.